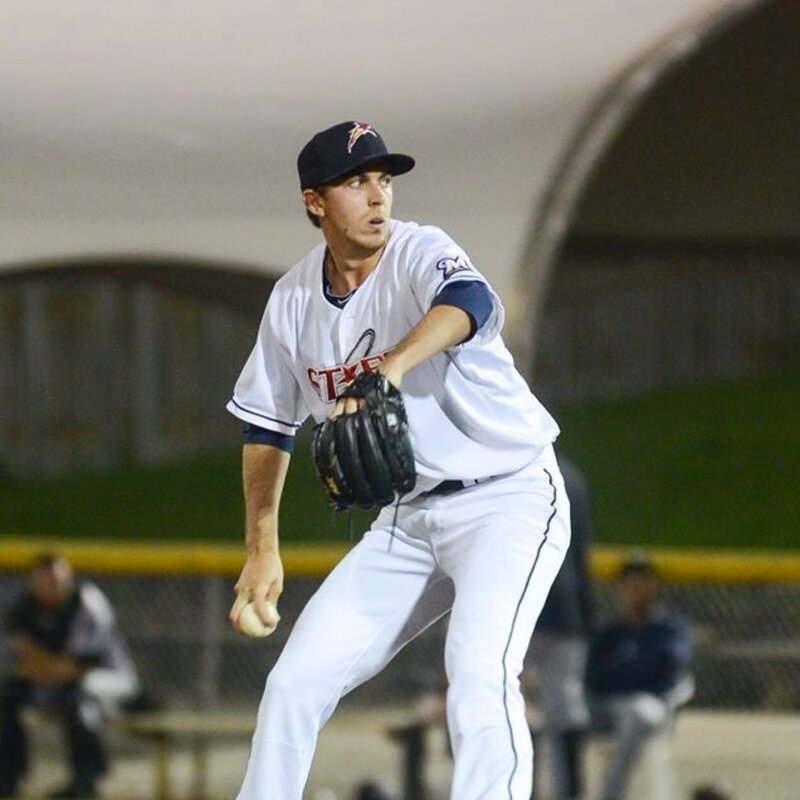 Have you been following the Double-A Huntsville Stars’ pitching staff? Well, if you have you’ve seen a slew of former Manatees hurlers combine to set the Stars’ club record for consecutive scoreless innings. Nine Brevard County alumni, including five 2013 ‘Tees, helped the Stars rattle off 34 straight innings without allowing a run. 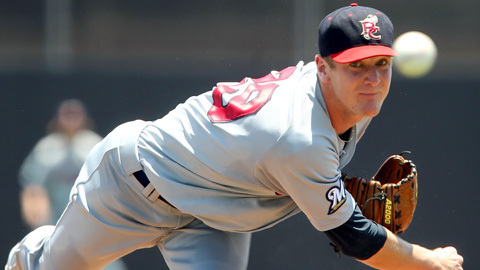 The streak began on May 2 in Montgomery, AL when RHP Casey Medlen (’13) pitched a perfect seventh inning against the Biscuits. Huntsville kept rolling from there and did not allow another run until the fifth inning of yesterday’s game against the Jackson Generals. Struck out one over a hitless seventh inning at Montgomery. That outing on May 2 began the streak. After Medlen’s scoreless outing on May 2, Dillard came in and shut down the Biscuits over the final two frames. The Stars won that game, 9-1, but Dillard was not finished making his mark on the scoreless streak. The right-hander came out of the bullpen on May 6, as well. That day, Dillard worked a one-two-three eighth inning in a 5-0 victory against Jackson. Just two starts after took a no-hitter into the ninth inning against Mobile, Suter turned in another tremendous performance at Montgomery. 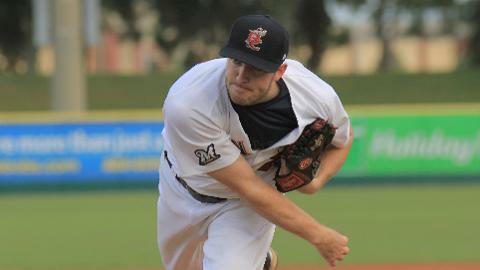 Suter kept Huntsville’s shutout streak intact with seven scoreless innings at Montgomery on 5/3. 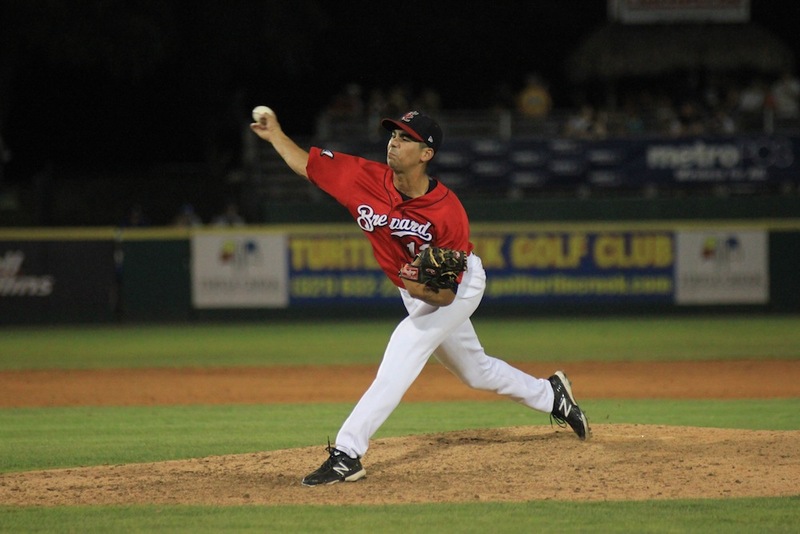 Suter and his 2013 Manatees teammate, RHP Drew Gagnon, had the longest outings of any Stars pitcher during the streak. 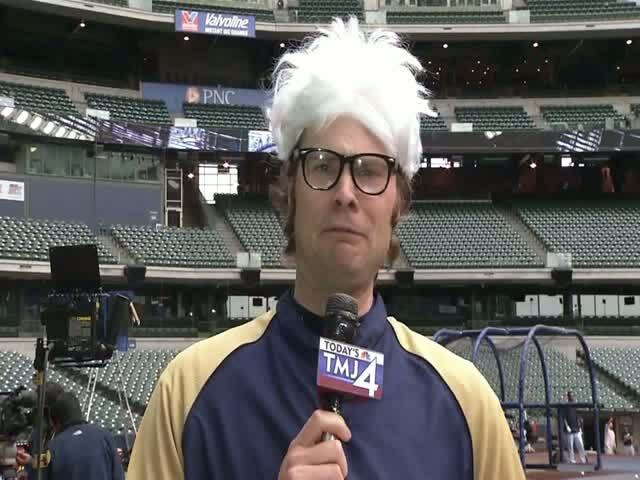 The 6’5” right-hander finished what Suter started on 5/3. 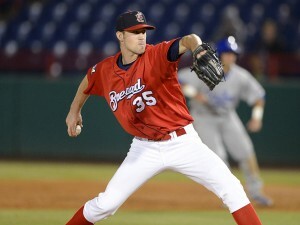 Shackelford shut out the Biscuits in the eighth and ninth innings on 5/3. He walked two and allowed a hit, but struck out two to keep the zero in Montgomery’s column in an 11-0 Stars win. Cinco de Mayo was Cravy’s day to put a zero on the board. 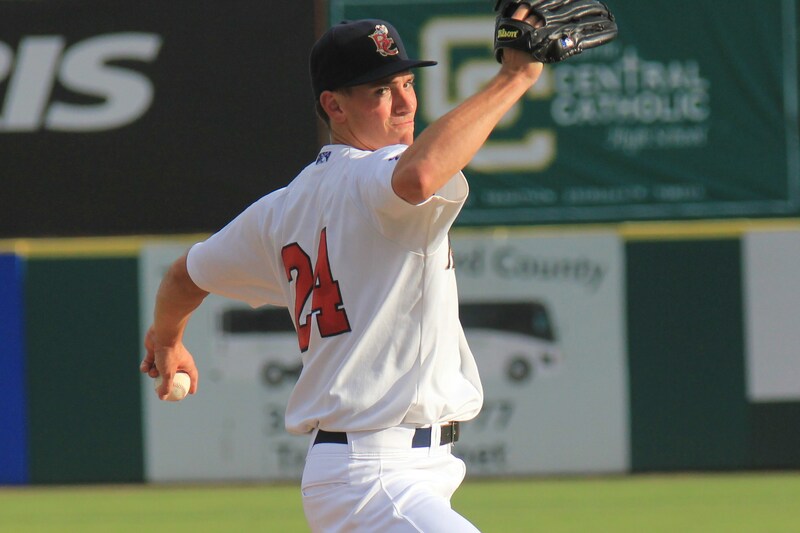 The 2013 ‘Tee put together six scoreless innings and struck out six Jackson Generals on 5/5. Cravy only allowed three hits and registered one hit-by-pitch. Leon took the ball for two innings on Cinco de Mayo after Cravy tossed his gem. After that, however, the mound belonged to another ex-Manatee in Goforth. With the Stars only leading 2-0, Goforth had to shut the door and he did just that in the ninth. Goforth pitched a one-two-three ninth inning en route to his seventh save and a Huntsville win. The Stars’ scoreless streak was alive and well at 21 innings. 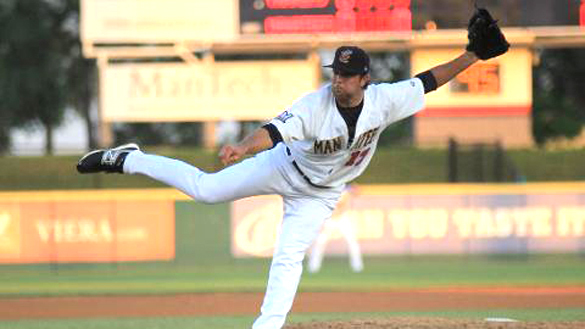 Gagnon equaled Suter’s performance from three nights prior with seven shutout innings on 5/6. The righty got into a little trouble with three walks and four hits, but skirted danger to keep zeros on the scoreboard for Jackson. The 2013 Brevard hurler stranded a runner on third base after a leadoff double in the third inning, then picked a runner off of second to end the following inning. Gagnon worked out of dodge in the sixth inning, as well. The starter issued a pair of two-out walks, but nothing came of them, as he struck out the last batter of the inning. In just his third Double-A appearance since being called up from Brevard County, Toledo shut down Jackson to improve Huntsville’s scoreless streak to 30 innings. 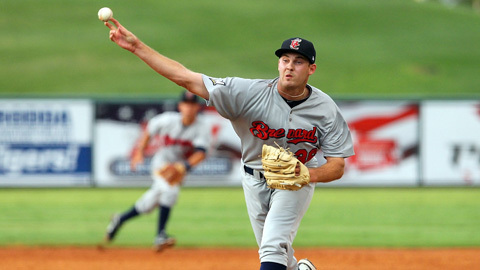 The ex-Manatees closer held the Generals off the scoreboard in the ninth inning to secure a 5-0 win for Huntsville. Huntsville’s scoreless innings streak ended with Jungmann, but not before he threw four more zeros on the scoreboard. After four shutout frames, Jungmann allowed three runs (one earned) with one out in the fifth inning against Jackson on May 7. Huntsville committed two errors that inning and Jungmann surrendered two hits and two walks, as the Stars fell, 7-2. All told, the Manatees accounted for 32.1 straight scoreless innings. The Brevard alumni struck out 22 men, surrendered 14 hits, walked seven and hit one batter to help the Stars set a new club record.